Gdańsk is famous for its rich history and beautiful architecture which fascinates tourists. It is also a desired place to rest, located on the Polish sea, surrounded with lots of greenery – city parks, forests, nature reservations. 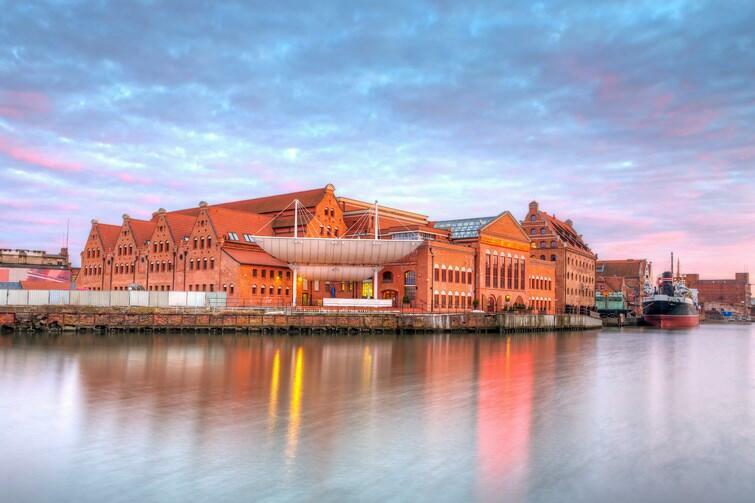 Gdańsk is also an important cultural centre grouping lots of institutions and organisations. As a result, higher art blossoms every day. You are welcome to study what our beautiful city offers. You will find here many things to enjoy both for the heart and the soul that require cultural affection. The Polish Baltic Frederic Chopin Philharmonic in Gdańsk started its activity with a concert that took place on 29 September 1945 in the Catholic House Room in Sopot. The orchestra was directed by Zbigniew Turski and the program covered works by Chopin and Moniuszko. In April 1949 the Philharmonic was nationalised and renamed to the State Baltic Philharmonic; four years later it was merged with the Opera Studio headed by Zygmunt Latoszewski and renamed again to the State Opera and Baltic Philharmonic. Some turbulences but a great institution like this has to have interesting history, shouldn't it? What happened later? In the 1970s the symphonic and opera functions were split. The Philharmonic's operation sped up then and it started signing lucrative artistic contracts for tournaments in Germany, France, Switzerland, Italy, Vienna, Salzburg, Paris, Berlin, Bremen, Frankfurt or Leningrad. The final split of the Philharmonic and the Opera took place in 1993 and Prof. Roman Perucki became the director. It was him who initiated the transfer of the seat of the Philharmonic to a complex of buildings of a former late 19th century heat power plant located on the Ołowianka in Gdańsk. The investment was carried out from 1998 to 2007 when the artistic musical and congress complex was officially opened. The Philharmonic became then the largest institution of that type in Northern Poland, visited by musicians from Poland and all over the world. The Philharmonic Orchestra performs concerts in many countries with great success, also winning international prizes. The centre has four halls: Concert Hall (1100 seats) and Chamber Music Hall (180 seats) as well as Jazz Hall (200 seats) and Oak Hall (100 seats). So there is lots of room for sophisticated art lovers. Apart from giving concerts, the Philharmonic offers rental of the halls for symposia, congresses, sectoral events and occasional events. Additionally, there is a gallery of art exhibiting works by Polish and foreign artists. It is a real oasis of beauty where you will experience something extraordinary and magic – time off from daily reality. It is worth experiencing such moments.